Paolo (Homepage) wrote: bella, sembra un poster anni '70 (nostalgia canaglia...). che ottica hai usato? sherri (Homepage) wrote: This is extraordinary. I'm not suggesting anything because I don't do that, but I had to wonder to myself what it would look like in greyscale. cushmok (Homepage) wrote: amazing capture.. is it a collage ? Andrés (Homepage) wrote: What lens and technique did you use to make this image. I like it very much! 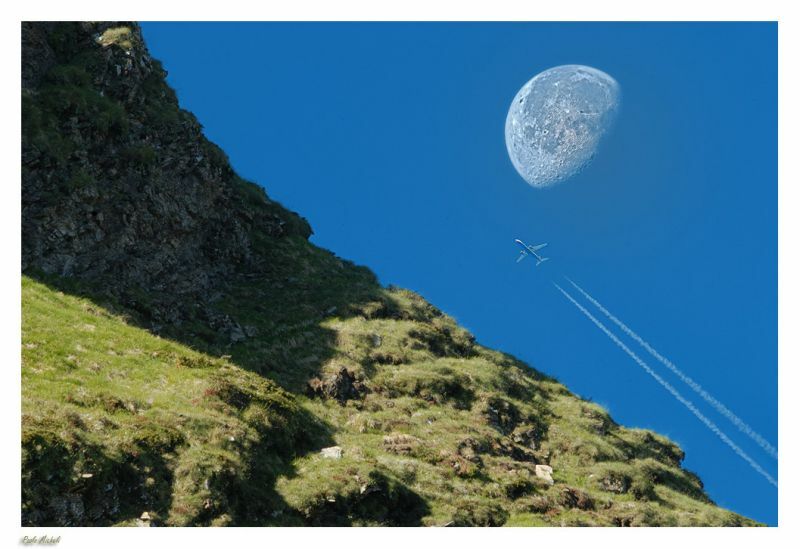 Mike (Homepage) wrote: Whether this is a composite or not (tell me)... this is a great image! Rarely do I gasp when I see something... this is a very dynamic piece of work! Arjan - PlasticDaisy (Homepage) wrote: Wow is this for real? Did you catch this in one shot!? That is amazing! What a lens that must have been! So much detail in that moon! Terry H. (Homepage) wrote: Great composite and processing. Well done! gavin hart (Homepage) wrote: Absolutely stunning shot and very beautiful as well Paolo! You were certainly in the right place at the right time or you must have been very patient. Arnd (Homepage) wrote: Right time, right place! A truly wonderful capture! Simone (Homepage) wrote: ...semplicemente geniale! joshi daniel (Homepage) wrote: this looks so beautiful! Rolf (Homepage) wrote: Fantastic shot and great composotion. I like the idea! Marcie (Homepage) wrote: WOW! I'm not sure what else to say. WOW..WOW..WOW!!! Gëist (Homepage) wrote: Is this an edit ? Anyway it's very impressive ! grant (Homepage) wrote: wow... this looks like it should be the closing frames of a movie. Frida (Homepage) wrote: Wow what a capture! Very well spotted and captured. Andy (Homepage) wrote: Wow Paolo!! what a great find and photo. Amazing! !